Observation - Blackthorn? - UK and Ireland. 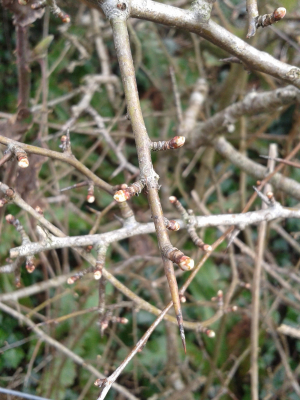 Description: Checking this is Blackthorn and not hawthorn in bud. The thorns themselves have lateral buds. Checking this is Blackthorn and not hawthorn in bud. The thorns themselves have lateral buds.